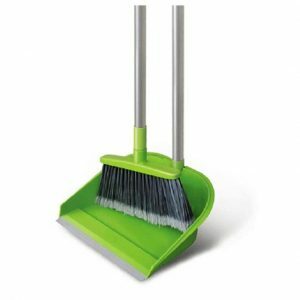 Plastic Broom Feature: The bristles are neat and wear-resistant, leaving no scratches and easy to clean. Most plastics are light, chemically stable, will not rust; good impact resistance; good transparency and wear resistance; good insulation, low thermal conductivity; general formability, colorability, low processing cost Most plastics have poor heat resistance, large thermal expansion rate, easy to burn, poor dimensional stability, and easy deformation; most plastics have poor low temperature resistance, become brittle at low temperatures, and are prone to aging; some plastics are easily soluble in solvents. Plastics can be distinguished between thermoset and thermoplastic. The former cannot be reshaped and the latter can be reproduced. The physical elongation of thermoplasticity is relatively large, generally ranging from 50% to 500%. The force does not change completely linearly at different elongations. The different properties of plastics determine their use in the industry. With the advancement of technology, a plastic modification has not stopped research. It is hoped that in the near future, plastics can be modified to have a wider range of applications, and even replace steel and other materials and no longer pollute the environment. Most plastics have strong corrosion resistance, do not react with acids and alkalis; plastics are low in manufacturing cost; durable, waterproof and light; easy to be molded into different shapes; good insulators; plastics can be used to prepare fuel oils and fuels Gas, which can reduce crude oil consumption. Therefore, the broom made of plastic is light and durable, and has high comfort and wear resistance.